Of all the things we don’t need, a new World Trade Center—or a $3.1 billion “Freedom Tower”—is one of the things we don’t need the most. I know this for a fact because when those American Airlines planes hit the Twin Towers at 9am and 10am on a Tuesday morning in September of 2001, the buildings were virtually empty. Indeed, more than half the floors of both towers were vacant and unleased. Nutjob religious extremists, in their single-minded obsession with a recognizable American landmark, had managed to strike one of the least populated areas in Manhattan. The death count would have been higher if the terrorists had targeted Kim’s Video on St. Mark’s Place. All of this, of course, is nonsense. We didn’t have “a thriving World Trade Center” in 2001, in the midst of a comparatively robust economy. Today, with recession lingering and commercial real estate values cratering, Bloomberg’s boondoggle looks like the construction of an instant ghetto. The truth is, no one wants to work in a shiny new Trade Center, the primary purpose of which would be to function as a terrorist target, a massive buglight drawing every turbaned religious zealot with a grudge. Heck, you don’t even have to wear a turban anymore. There are more than enough Tea Party descendents of Timothy McVeigh willing to take on the Trilateral Commission with a truck bomb or just a clutch of automatic weapons and some grenades. And then, too, the business world has irrevocably changed. It was changing on 9/11 and it now looks nothing like the business environment of ten years ago. Wall Street doesn’t reside on Wall Street anymore. Nobody’s in the corner office at 9am. Nobody wants to chew up two hours a day fighting their way into and out of lower Manhattan. Financial companies are streamlined, automated, and decentralized; payrolls are small. When Oliver Stone filmed a sequel to his seminal high-finance blockbuster Wall Street last year, he didn’t base it in Manhattan. In Wall Street: Money Never Sleeps, Gordon Gekko’s working out of a storefront in New Jersey. 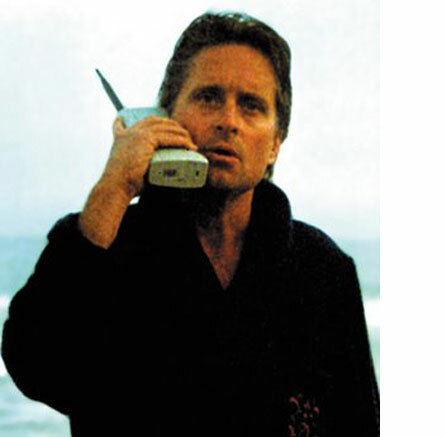 The Wall Street symbolized by big Manhattan skyscrapers is as obsolete as that big shoebox-sized cellphone Gordon was shouting into in 1987. Michael Bloomberg would have New York taxpayers believe that the restoration of the World Trade Center, in all its needless skyscraping height and volume and bombast, represents a restoration of our national pride. The truth is, New Yorkers—and our pride—would be better served with a small pond, a tasteful monument to the dead, and some trees. This entry was posted in Diatribes and tagged 9/11, American Airlines, Gordon Gekko, Manhattan, Michael Bloomberg, Money Never Sleeps, Moynihan Station, Oliver Stone, Port Authority, Timothy McVeigh, Trilateral commission, Twin Towers, Wall Street, World Trade Center by Harry Ramble. Bookmark the permalink. Hey, Nancy! I see you have your horse-saving hat on, these days. That must be very rewarding.